There is a great chance that regardless of your demographic profile you are familiar with Leon Russell’s A Song For You, one of the really towering copyrights of the last 40 years. Aside from being an unquestionably terrific song—touching, lovely, and timeless—an additional reason that A Song For You has been recorded dozens of times and continues to be absolutely irrisistible to singers, lies in the narcissistic rush of a single couplet: I’ve acted out my love on stages/with ten thousand people watching/but we’re along now and I’m singing this song for you. In this one passage, Russell creates a narrative structure in which the singer of the song is a truly heroic figure of literary proportions, envied by thousands but lonely underneath. You can bet that the song would not be nearly as appealing to a star if Russell’s lyric was I’ve acted out my love in lounges/with six drunk people sleeping. The great Joe Cocker included it on his 1976 album Stingray. A true interpretative wizard, Cocker is one of the few artists who was extended a dispensation by a loving fanbase despite not being a songwriter in the rock era. Helen Reddy recorded the song on her 1971 debut album I Don’t Know How to Love Him. Oh Helen—she of the fluttering vibrato and good intentions. I fully wanted to share her version with you, but I simply cannot bring myself to pay $1.29 for the privilege. You are welcome to sample it on iTunes or enjoy it on Spotify and please think of me when you do! Donny Hathaway recorded the song for his 1971 self-titled album. Considered one of his signature songs, Donny’s version is probably the best-known version of the song. His stunning arrangement is frequently emulated—sometimes exactly. For many folks, A Song For You simply is a Donny Hathaway and they are completely unaware of its true origin. Dusty Springfield recorded the song for possible inclusion on her 1972 album See All Her Faces, but her unfinished recording remained shelved for almost 15 years until finally released on the compilation Something Special in 1996. Although by the 70s Dusty’s output was decidely hit or miss for me, I must confess I think she really nails this one. Carmen McRae performed this song on her 1972 The Great American Songbook album. The embrace of the song by more jazz and standards oriented singers illustrates the songs unique elasticity—part of its endurance. Nancy Wilson recorded the song on her the 1987 album Forbidden Lover (the jazz singer, not half of Heart). Ray Charles recorded a poignant version of the song on his 1993 album My World. Released as a single, it reached #4 on the Bubbling Under the Hot 100 chart, and won him a Grammy Award for Best Male R&B Vocal Performance. Charles performed the song live at New York’s Beacon Theater on April 9, 2003, as part of Willie Nelson’s 70th birthday tribute (released on DVD as Willie Nelson and Friends: Live & Kickin’). Leon Russell sang the first verse, Willie Nelson sang the second verse, and Charles sang the remainder of the song in this unforgettable performance. Nelson, who stood nearby during Charles’ performance, was moved to tears. Peggy Lee included the song on her final album for Capitol Records, Norma Deloris Egstrom from Jamestown North Dakota (1972). Though by 1972 she was a throwback to another era, I think Peggy did a very credible job with songs like this and, for example, James Taylor’s Don’t Let Me be Lonely Tonight. There was something about her laid back hipness that made her occasional forays into more contemporary pop more organic than many of her peers. Elliott Yamin performed the song in both his audition for American Idol and in one of his final performances. It was also named number three in Entertainment Weekly’s 10 all-time best American Idol performances (a distinction that might strike some as an oxymoron), though I must admit Yamin is not half bad. Michael Bublé included the song on his album It’s Time. Bublé frequently ends his concert with the song. During his Crazy Love tour, he sang the majority of the song to the arena without a microphone. I’m of two minds about Bublé: though I truly appreciate that he is a young person carrying classic pop music forward, I wish that he was more of his own man and less numbingly derivative of Sinatra. Mavis Staples recorded a version in collaboration with British Electric Foundation, which was included on their 1991 album Music of Quality and Distinction, Volume 2. City High included it on their 2001 self-titled album. In 2005 Herbie Hancock released a version with vocals by Christina Aguilera that was also nominated for a 2006 Grammy Award for Best Pop Collaboration With Vocals. They performed it live at the Grammys. Here is the studio version, which is definitely the one to go with if you believe, as Christina apparently does, that good singing means endless vocal runs with no particular musical point other than to show off that she can riff endlessly. Whitney Houston performed A Song for You for the troops and their families returning from the Gulf War on March 31, 1991 on the specialWelcome Home Heroes With Whitney Houston (1991). Her powerful version was inspiring and far superior to the bizarre dance version she sadly squawked on her final album I Look to You. Simply Red recorded the song on the 2005 album Simplified in 2006. Not bad. Gavin DeGraw performed the song for StrippedMusic.com. Gerald Levert performed the song on the 1998 New York Undercover: A Night at Natalie’s soundtrack. Featured on Betty Wright’s album Betty Wright Live in 1978. Elton John used it as an intro to a medley of his own songs Blue Eyes and I Guess That’s Why They Call it the Blues on his 1986 tour. In 1994 the great Shirley Horn performed the song as a medley with the standard Goodbye on her album I Love You, Paris. Petula Clark’s live version was recorded at the Royal Albert Hall in 1974. It was recently released on the compilation Open Your Heart. 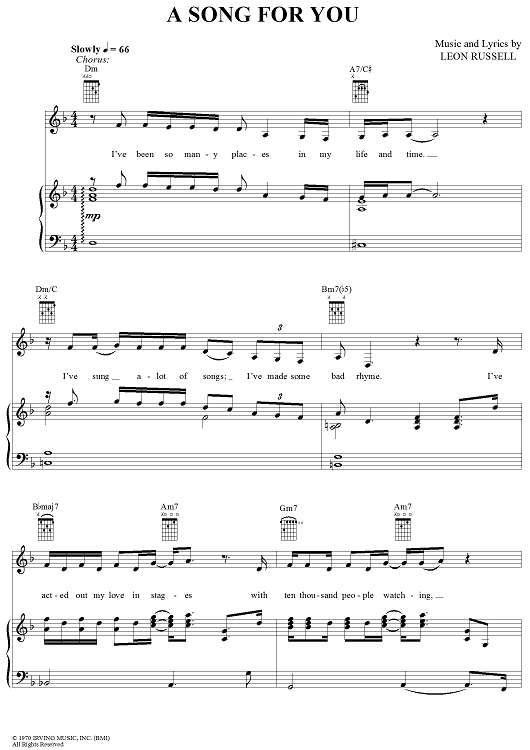 Donna Summer often sang this as her encore during tours from 1977 to 1979, and again in 1983. I love what she did with this song. Beyonce Knowles performed the arrangement made popular by Donny Hathaway regularly during her second solo world tour. Title cut from the Temptations 1975 album. Sax player Kirk Whalum recorded the song on his Everything Is Everything: The Music of Donny Hathaway (2010). Neil Diamond included the song on his 2010 cover album Dreams. A version recorded by Amy Winehouse in 2009 was included on her 2011 posthumous album Lioness: Hidden Treasures. It sounds messy, rushed, and slurred. The vocal is comped within an inch of its life—typical of posthumous releases when the label is scrambling to release anything. Title cut from jazz legend Anita O’Day’s 1984 comeback album. Also recorded by Vikki Carr, B.J. Thomas, Barbara Cook, Woody Herman, Peabo Bryson, Andy Williams, Kenny Rankin, Ernestine Anderson, and on and on! Merry Clayton is an absolute real life soul survivor. Although she is best-known for essentially carrying the Rolling Stones’ Gimme Shelter, her solo work is absolutely timeless and worth seeking out. She is featured in the new documentary 20 Feet From Stardom that focuses on dynamic background singers who have supported some of our favorite pop and rock stars. Merry’s version of A Song for You is from her eponymous 1971 album and benefits, I think, from exactly the right balance of grandness and humility. Her version’s arrangement is also one of the very best: tasty keyboard licks, awesome call and response vocals, a great horn part, and an overall fantastic build. It sounds like 1971 and forever. Prepare to be astounded! 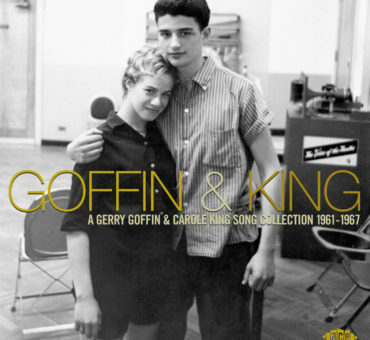 When a “Song” Becomes a “Copyright”: Carole King and Gerry Goffin’s Will You Love Me Tomorrow? "Norma Deloris Egstrom from Jamestown North Dakota"
"The Great American Songbook Album"
Next time you review a song of this proportion with such detail, perhaps you can read the words to the song that you included with the music. Leon did not write, “I’ve acted about my life on stages”, he wrote “I’ve acted OUT my LOVE on stages”. It’s just you…as a writer you owe a responsibility to your readers to get it right. You came very very close but leaving it to fans is a slight bit of a cop-out because your fans often depend on you. American Idol has been a staple of mainstream pop music reality television for well over a decade and each and every season at least one if not several contestants try their hand at getting a competitive slot on the show by singing “A Song For You” much to the delight of the show’s fans. Kris Allen: performed it in his first audition on the eighth season of American Idol. The show’s judging panel attributed the song credit to Donny Hathaway. Ricky Braddy: performed it on the eighth season of American Idol during the semi-finals. The show’s judging panel AGAIN attributed the song credit to Donny Hathaway. Heejun Han, American Idol season 11 finalist, performed the song during the Top 9 week. The show’s judging panel AGAIN attributed the song credit to Donny Hathaway. Chris Richardson: performed the song in his auditions for American Idol in Season 6. The show’s judging panel AGAIN attributed the song credit to Donny Hathaway. Elliott Yamin: performed the song in both his audition for American Idol and in one of his final performances. It was also named number three in Entertainment Weekly‍ ’​s 10 all-time best American Idol performances. The song is also on Yamin’s debut album. The show’s judging panel AGAIN attributed the song credit to Donny Hathaway only this time, after a tsunami of protests and angry fan letters, the show’s judges issued an on-air correction the next week, only to go BACK to miscrediting it the next season when mentioning Peabo Bryson’s version while talking to each other on air. April 2nd, 1942. Hilariously, even after Leon’s own WIFE contacted the magazine, editors argued the point with her. RS finally corrected the mistake, which Leon actually found amusing, about five years ago. So please understand that if there’s a wee bit of a sore spot among Leon Russell fans, it’s because the man has suffered an awful lot of abuse at the hands of the press and the music industry. It’s nothing personal, people just want writers to GET IT RIGHT. Thank you for writing about what has to be one of the best songs ever by a vastly underappreciated American treasure. 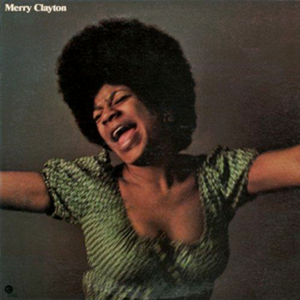 I enjoyed listening to the various interpretations of this song, and doubt I would have ever heard that Merry Clayton version, were it not for you including it. To use an overused word that in this case has real meaning: awesome! Thank you so much for your lovely words! It made my day. I’m very glad that Merry is finally getting some mainstream love via the film “20 Feet From Stardom” Her solo albums from the early 1970s are absolutely classic soul gems and well worth seeking out. I hope you’ll take a minute and sign up for the monthly newsletter on the home page, if you haven’t already. It will help us stay in touch! Thanks again for taking the time to read. love, love, love Donna Summer cover of this song. She really had this unique and distinctive voice. Thanks so much for taking the time to read Stargayzing and share your thoughts. Donna was truly one of a kind. I am grateful that I had a chance to know her. Her singing brought me so much joy and, as much as anyone else, was the soudntrack to my adolescence. That is a special designation in each of our lives. I know how much information is floating around so I really appreciate every single reader’s time. Oh, by the way, feel free to sign up for the monthly Stargayzing newsletter on the home page, which is a great way to get a monthly reminder of highlights. Really well done on research into one of the most iconic pop/rock songs of the past 4 decades. Call me sentimental but my favorites have to be Karen Carpenter and Leon. Many thanks for posting all these covers including some surprising and quite wonderful versions by Dusty Springfield and Donna Summer, and Aretha rocks it out! I had not heard most of these. Made my day! Believe it or not, I continue to find more versions of this song! I just discovered the great Kenny Rankin’s version; to be honest, I have only become familiar with his music in the last few months. That is what is so amazing: if you keep listening, you never stop hearing new things. Well, Leon could write what he did because he lived it–He acted out his love on stages with ten thousand people watching–not in lounges and with six drunks sleeping, so that’s why it had credibility and why others want to adopt it so they can attach their name to it. 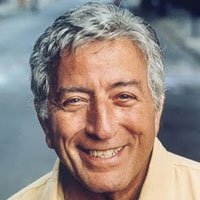 Leon once said that if a person could just write one song that would be embraced like A Song for You, then they are doing good. But Leon has a long list. If studied he is a phenomenon really. 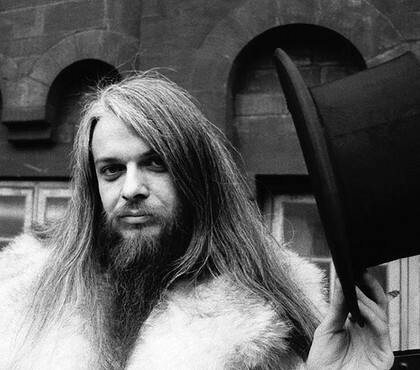 Perhaps no other song writer and musician has touched the music industry like he did in our lifetime as Leon Russell. Well said Tim, though I think on a songwriting tip one could probably make strong arguments for “the three ‘N’s”: Laura Nyro, Harry Nilsson, and Randy Newman, (I might also throw Jimmy Webb in there for good measure!). Luckily we can enjoy them all and, with any luck, ensure that their music is heard and appreciated by younger people. Thanks for taking the time to read and share your thoughts. Hi David, what an insightful piece you have here on one of my favourite songs. Judging by some nasty comments on various You Tube posting featuring this song, its so refreshing to encounter a true music lover that gives a very wide and objective presentation. I personally think Leon Russell is pure genius for having blessed the world with such a gem. I feel him when he sings it and his rendition moves me, although I must admit and hope I don’t get lambasted or my music knowledge questioned, Donny Hathaway touches me more when I listen to his version. 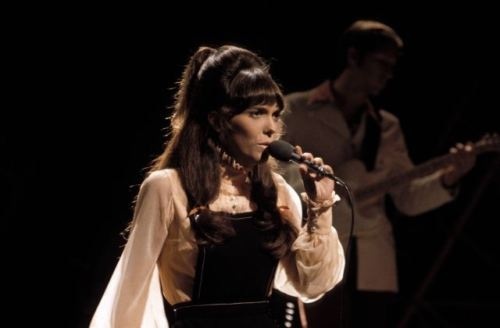 Karen Carpenter is pure class, precise and uncluttered. Brings back some childhood memories. Thank you for sharing the Merry Clayton version, beautiful and like you say it sounds 71 and forever. The surprise for me here has to be Donna Summer, she sings it oh so lovely. It’s been on repeat for some time now, at times she gives glimpses of an Eddie Levert like performance on Wildflower. Thank you for sharing, beautifully done. I don’t care what anyone else says, The Carpenters had the best version of this song hands down. I shudder when I hear any other version. Clearly your flair for the dramatic is on par with mine. Most folks would simply say, “I prefer the Carpenters version,” while you and I “shudder.” Thanks for taking the time to read and check in. I hope you’ll keep reading! Stargayzing Mix Tape: The Most Unbelievable Cover Songs of All-Time! #9: Chér's Cover of Paul McCartney's "My Love"